A traditional PC is a lot more useful than any tablet or smartphone, even though those two are also great for keeping you in touch with your family and friends, checking your email and basic gaming. Even though there was a visible push towards touch screens in the recent years, a keyboard and a mouse are still the best way to control your computer. You are able to type a lot quicker with the keyboard and navigating through the interface of your operating system is a lot more enjoyable by using conventional methods. Desktop computers are pretty much the only ones that haven’t been constantly redesigned and revamped over the years, like the smartphones, tablets and even laptops which are now getting a facelift with the new hybrid trend. And because there wasn’t such a big demand for desktops in the last years, you can now purchase one at a very decent price. For everyday video streaming, web browsing and word processing, a computer from any IT retailer will be just fine. As a matter of fact, you would probably be better off buying a cheap laptop than a big desktop computer. But if you want to play the greatest and latest PC games out there, the whole thing changes. You can buy high-end gaming computers from Dell and its subsidiary, Alienware but you will probably get the job done a lot cheaper if you build your own gaming rig. However, you should be aware that building you own computer from scratch is not for everyone. This can be a very stressful and long process if you don’t have a clue about what you are doing and can easily take a very bad turn for the worse. There are definitely pros and cons to buying a new PC versus building your own computer from scratch. It can be very cheap to buy a computer from a manufacturer like Lenovo, Dell or HP. Prices right now are at an all time low and you will end up with a machine that simply works right out of the box. It’s also worth mentioning that prebuilt computers also come with a warranty and tech support. However, things will get a lot more expensive when you start searching for Apple computers and better-equipped PCs, or start to add faster and newer components in the mix. These manufacturers make money on things such as more storage, upgraded video cards and added memory. A high-end gaming computer can cost as much as $3,000. However, this doesn’t have to be the case. If you decide to build your own computer, you will get the chance to customize it the way you want and you will be able to upgrade the components whenever you want to do so. This is something that can’t be done on most pre-built computers. It’s possible to create a very powerful desktop computer for less money than high-end pre-built models. That being said, the disadvantage is that no one will hold your hand when building your own computer. Individual hardware components do have warranties but if something goes wrong it’s solely on you. You won’t have a 24/7 tech support hotline to call if your computer doesn’t power on or if a certain component isn’t recognized. If you feel that this is above your skills keep in mind that there is no shame in purchasing a pre-built computer. 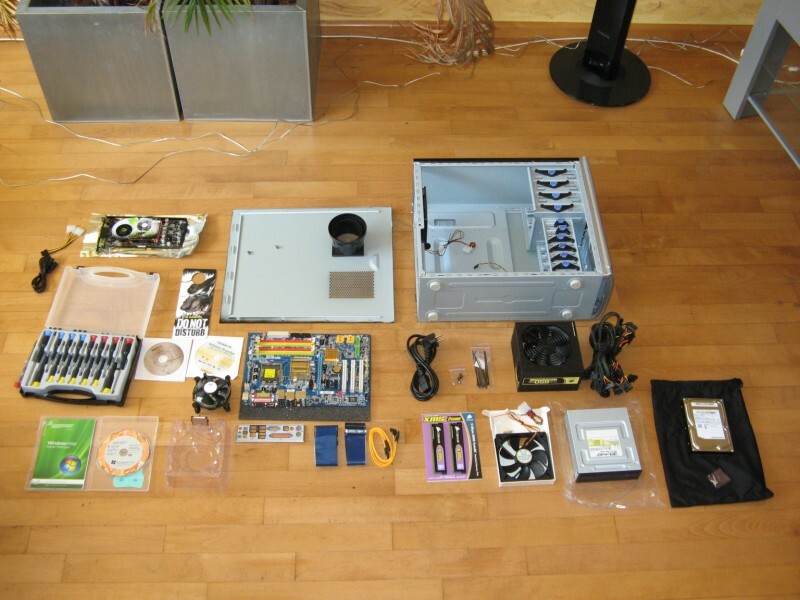 However, if you’re truly up to the task, below you will find the components that you will need to build your own computer. The CPU can be considered the brain of the computer, but the motherboard is the heart of it. Every computer hardware component will connect to the motherboard which gives commands to each and every one of them. When choosing the right motherboard you should pay very close attention to these several things: ports, slots, size and socket compatibility. 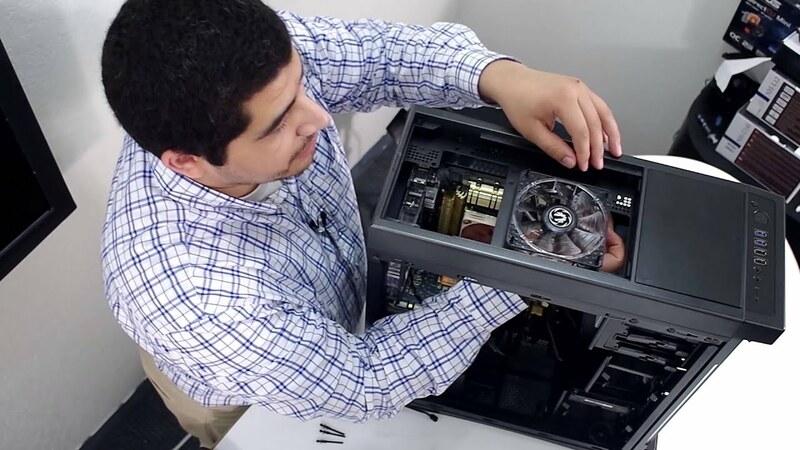 Before you buy a new motherboard you need to make sure that it will support your processor (Intel or AMD), and that it is compatible with your processor model. You will also have to ensure it will fit inside your case. Motherboards for desktop computers come in numerous sizes, including Extended ATX, ATX, Micro ATX and Mini ITX. Each of these sizes will offer various features. For instance, an Extended ATX one will have more ports and sockets than a Mini ITX motherboard. You should purchase a high quality motherboard as it holds all your components together, even if those are more expensive. Some of the best brands of motherboards include EVGA, AsRock, Gigabyte, MSI and Asus. The CPU processes thousands of commands every minute and, as we stated above, can be considered the brain of the computer. The CPU is one of the most expensive components in a PC and there are a few things you should be familiar with before deciding to purchase the fastest one. Intel and AMD both offer a very wide range of CPUs that have pros and cons. The CPUs from Intel perform relatively better than AMD ones. However, AMD chips can be a lot cheaper. Processors have a variety of cores and come clocked at numerous speeds. And while you might think that a processor with a faster clock speed will perform better, this isn’t always true. A quad-core processor will usually perform a lot better than a dual-core one clocked at the same speed. But an old quad-core processor might be slower than a newer dual-core one. It’s also worth mentioning that most applications and games aren’t really designed to take full advantage of many cores. This means that a hexa-core or even higher than that is a little way too much. Processors also have a thing called L3 cache. This will be used to store information that the CPU needs to access very quickly. The more cache the processor has, the better. CPUs that are low-end usually have only 4MB and higher-end and mid-end models usually have from 6 to 15MB. A CPU that has an L3 cache of 6 or 8MB should be enough to handle modern games. All your files and the operating system will be stored on the internal storage of your computer. You can either go for a solid-state drive or a hard drive right now. The cheaper option is to choose a hard drive as they are available at a much lower price. Hard disks are more fragile than SSDs and even though they are a lot cheaper, there are some cons regarding conventional HDDs. Your PC won’t power on as fast as it would with an SSD and will also have slower write and read speeds. On the other hand, SSDs are still relatively new and because of this they are more expensive. They are a lot faster than conventional hard drives but they cost a lot more. You can, however, use a combination of both. You can use an SSD for your operating system and an HDD for all you movies, music, documents and other files. When purchasing an HDD you can’t go wrong with products from Western Digital and Seagate. As far as SSDs go, great manufacturers include Intel, Crucial, Kingston, OCZ, Toshiba and Samsung. The graphics card is the second most expensive item in the computer. The card slides into a PCI slot on the motherboard. There are three options to choose from when purchasing a GPU: AMD, Nvidia or integrated. If you purchase a high-end processor, chances are that it comes with an included GPU, like AMD Radeon HD or Intel HD Graphics. These are usually enough for browsing the web, video streaming and word processing but they won’t perform as well as a dedicated graphics card. AMD and Nvidia are pretty much on par when it comes to power and graphics. With each new graphics card, AMD will be better than Nvidia and vice-versa. The graphics cards from AMD tend to be a little cheaper and the company also offers options that feature 3GB of RAM which perform better when used with more monitors. GPUs are available with numerous options, including more RAM but as we mentioned above, a lot more RAM doesn’t always mean better performance. Cards that have 2 or 3GB of RAM should be enough to handle modern gaming. 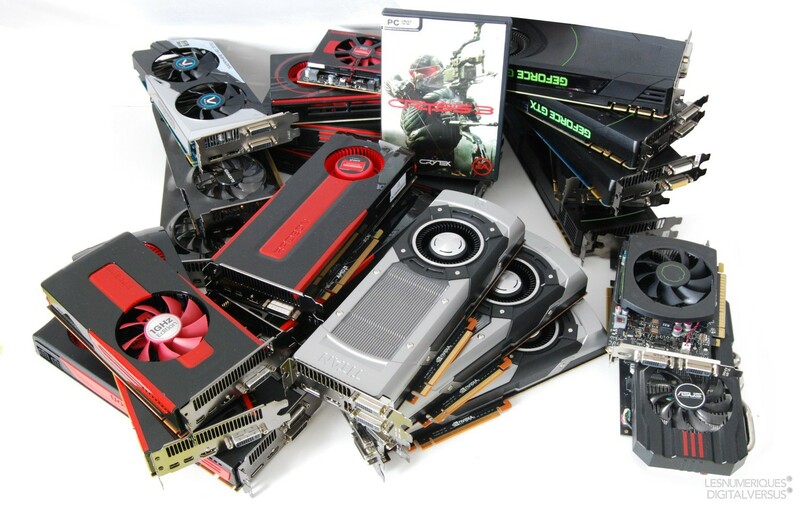 Some popular manufacturers of GPUs include Asus, MSI, Sapphire and EVGA. RAM is accessed by the computer to perform tasks when an application is running. The RAM goes into the memory slots on your motherboard and have three speeds: 2,400MHz, 1,600MHz and 1,330MHz. Make sure you check how many RAM slots you have on your motherboard before buying. Some motherboards can have only two slots and others may have six. It’s very important you check this before spending your money. The speed difference of the RAM isn’t all that important and the small (4%) performance boost is probably not worth the extra cash. Most modern games will run just fine on 8GB RAM. You can upgrade to 16GB but anything more than this is just not worth it at the moment. 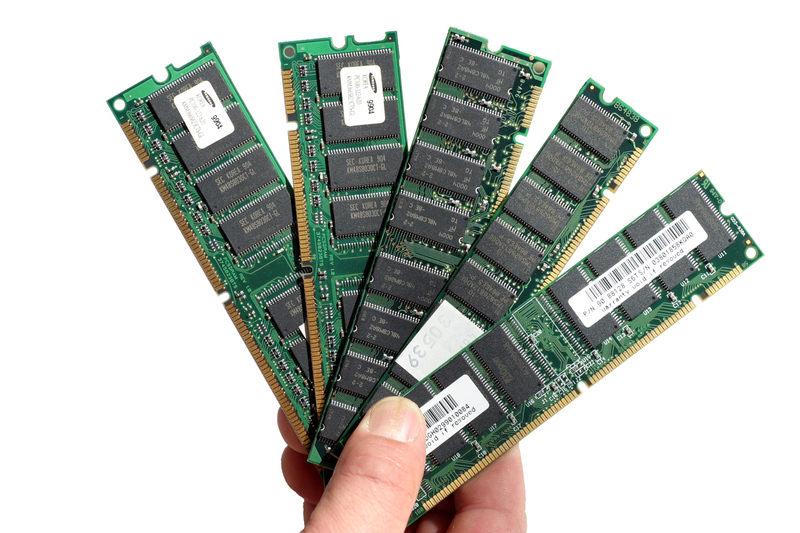 You should also make sure you buy DDR3 RAM, which is the fastest available at the time. There are numerous manufacturers but our favorites include G.Skill, Crucial, Kingston, Mushkin and Corsair. The power supply will allow your computer, for lack of a better term, to turn on. You should make sure that you don’t cut corners when buying a power supply as it needs to be powerful enough to support your computer. The power supply can either come in a modular version or a non-modular one. 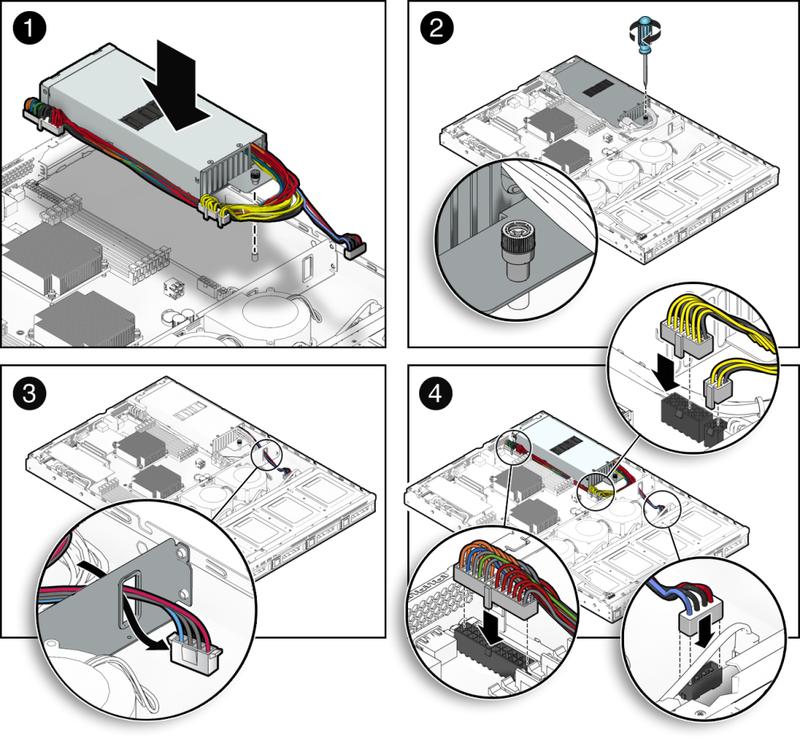 Modular models have detachable cables, which means that you can connect only the ones that you need for your PC. The non-modular model has all the cables connected to it, including the ones that you won’t need (if any). Even though modular power supplies are a little more expensive, on the long run they are worth the investment as there will be a lot more room in your tower for air circulation. You should be careful at the efficiency as well. Power supplies are ranked according to a certification program called “80 PLUS”. The ratings for these power supplies are Platinum, Gold, Silver and Bronze. You might occasionally find some other rating on a unit such as “85 PLUS” but you should be aware that this kind of ranking is not official. You should calculate how much wattage you will need when you build your own computer. Too much power is a waste of money, while not enough can cause malfunctions and can even damage your components. You should measure how much each component requires and add the total, for the best result. You can use a website that features a power supply calculator to do so as well. Some of the most popular power supplies are manufactured by Enermax, Corsair, OCZ, Antec, XFX and Seasonic. Optical drives are slowly becoming obsolete because of digital downloads and cloud services. However, you will need one to install your operating system. You should consider purchasing a Blu-Ray drive because this way you will be able to use your desktop computer as a home entertainment system as well. In order to have internet access you will have to use a wireless USB dongle, attach a wireless card inside your computer or plug an Ethernet cable into your PC. Which way you go is entirely up to you but an Ethernet cable plugged into your computer will be much faster than a wireless connection. Cases come in numerous sizes and can be pretty difficult to find the perfect one. You will have to purchase a case that is large enough to hold all your hardware and any upgrades you might purchase in the future. That being said, you should search for a case that allows a great air flow and also pleases you. You should be very careful at the size of the motherboard. The case should be compatible with the motherboard whether it’s Extended ATX, ATX, Micro ATX or Mini ITX. While most cases come with a front facing fan, you should purchase some more to make sure your computer won’t overheat. How many fans you will need depends on the size of the case and the hardware in it. Fans come in a great variety of colors and will let you customize the look of your computer to fit your needs. Be very careful to purchase the right size of fans for the case. You can’t do anything with all your brand new components without an operating system. Most likely you will choose Windows as the operating system but there are also alternatives. If you plan on building a server you should probably go with a Linux based operating system. That being said, Linux based systems are not intended solely for servers and if you are a casual user you may want to consider installing Ubuntu. But you should also be aware that these systems have far less games and applications and can also be more complex and harder to understand than Windows. You should also make sure you purchase a 64-bit operating system and not 32-bit one because the latter has RAM limitations. You can buy all your custom parts from an IT store or online on websites like Newegg or even Amazon. Make sure you’re extremely careful when you put all your components together. If you don’t feel up to the task you should probably just buy a prebuilt computer. So there you have it. This was our guide on how to build your own computer. Now that you know which parts are the most important you can easily start building your own computer. Have fun and be careful.